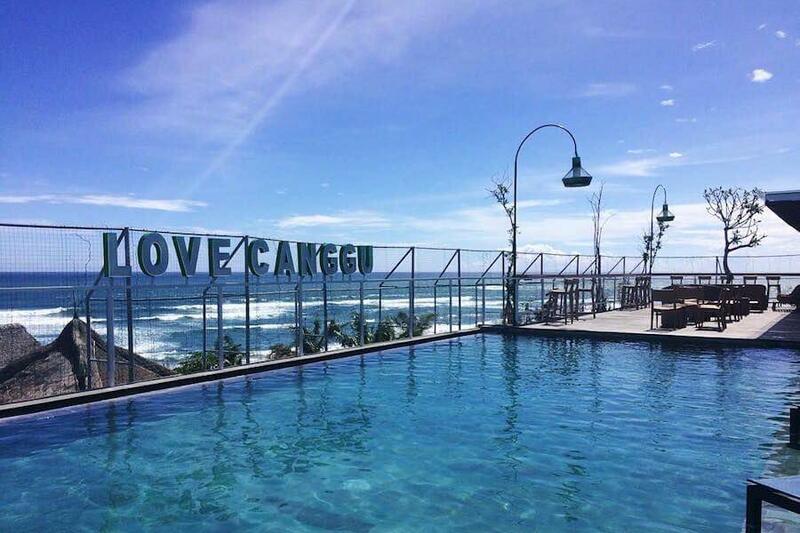 What do you know about Canggu surf spots? This is a very actual topic, since currently Canggu is one of the most popular places for surfing in Bali. 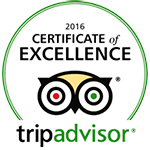 Our camp is located in the heart of Canggu and information about the spots nearby will be useful for you. After all, not every spot is suitable for the first “steps”, another can be too boring if you are a more experienced surfer. Surfing around here is represented by almost 10 spots, primary located in 4 places. Each spot has its own advantages and pitfalls (in all senses of the word). Let’s have a look at the most popular of them in order of their sequence, starting with the southernmost. The nearest spot to Wave House surf camp. Berawa is a beach-break mixed with rocky reefs. There are both right and left waves, perfectly suited for the average and advanced level of surfers. Sometimes you can see a surf school or a private instructor teaching people basis of surfing, that is not really correct and resultative. 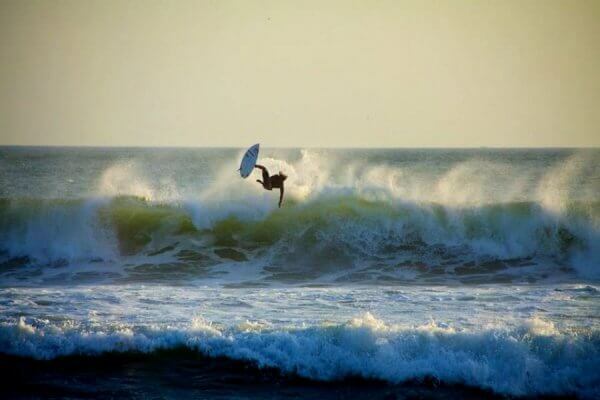 The size of the waves reaches 3-8 ft. On the beach you will also find rental surf equipment and plenty of cafes. The next territorial spot after Berawa. The main feature that this Canggu surf spot is great for beginners and those who just started learning surfing. Also nice option for those who like surfing a longboard and SUP, because wave are fat here. The bottom is a mix of sand and reefs. Waves are relatively slow, both left and right, approx. 1-2 ft. The big advantage is that waves are long enough, so you will get opportunity to improve skills and maneuvers without much fear. particular qualities, according to which it is not for beginners: waves are faster than at “neighbor’s” spot and the line-up is further from the shore. Although still fine for fans of longboards or mid-level surfers, and when a good swell comes even experienced surfer can have some fun! When people talk about Canggu surf spots, this world famous beach is the first thing that comes to your mind. When Bali just began to gain its popularity, luring mostly surfing tourists from Australia, this beach was the first place that made them fell in love. And it is a not surprising fact: it was still untouched village on Echo Beach and heaps of waves – all of this conquered the hearts of sophisticated Australians. 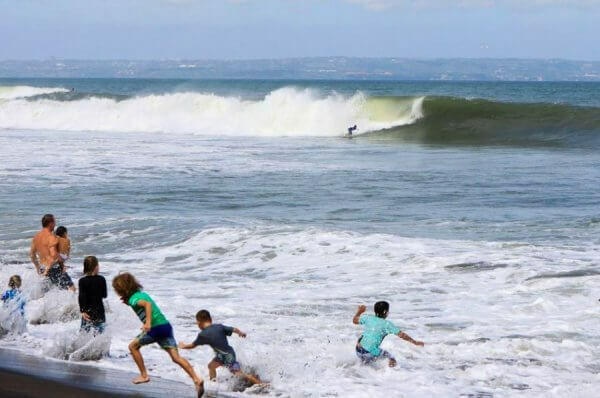 In general, we can say that surfing in Canggu is concentrated on this beach, since there are 3 spots, pretty same to each other, that allows you to ride one spot and go or even just paddle to another. Echo beach main surf spot is kind of considered as the main spot. It’s a perfect reef-break with mostly left, and right waves, that appear from time to time. The left wave, which is located right in front main promenade, can periodically produce a shorter right. As a bonus, you can often meet famous surfers here. This spot is right next to Echo Beach. It’s a beach-break with a left wave, where with certain wind and swell conditions you will share this spot with bodyboarders. In general, the same features as Echo except the fact, that you should be extremely cautious in rip currents. As you can understand from the name, the spot is located in the end of the river (which also separates the beach of Eco and Perenan). In most cases waves are right, least often – left. The wave breaks closer to the shore, but usually brings you almost back to Sand Bar. It’s fine at all tides, but better to surf when it’s at least mid-tide, otherwise your board can become good friends with reefs. Also well known as Stairs or Canggu Right is a reef-break with a right wave and friendly left. More famous for the first one, that attracts pro-surfers and surf comps sponsors. Left one is more likely as a beach-break and when swell is small, it will be fine even for beginners. 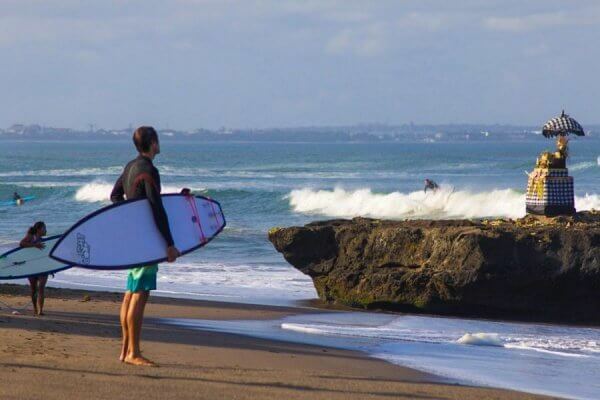 As you can see there are a lot beautiful and amazing surf spots in Canggu. No matter what do you prefer – longboard or short, no matter what is your level, you will never get bored! Dry season is coming soon, so hurry up and book your flight! Please rate this article! Was this article helpful?